The urban garden is now more important than ever and the Royal Horticultural Society (RHS) Flower Show Tatton Park 2017 (19th to 23rd July), supported by Bruntwood, will showcase ways to green up grey spaces to help create happier, healthier and more sustainable cities, writes Sandy Felton. Set in the beautiful 1,000 acre deer park at Cheshire’s Tatton Park, the ‘Great Garden Party’ will play host to spectacular show gardens, water gardens, future spaces, back-to-back gardens and an array of Grow-your-own inspiration. 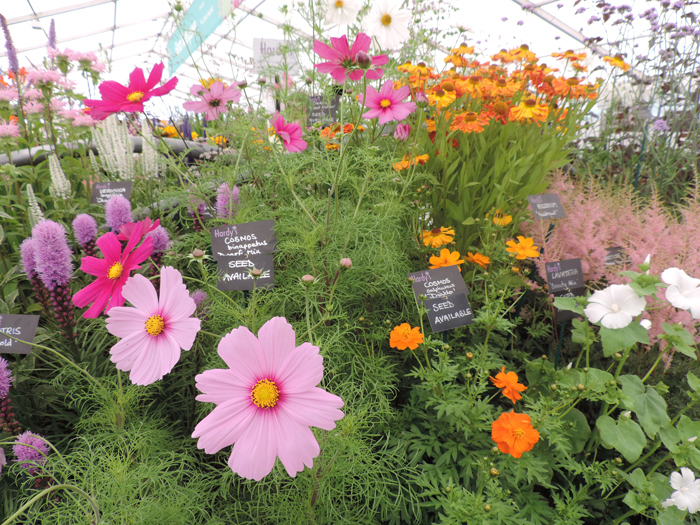 Not forgetting the RHS National Flower Bed competition and the popular Cheshire Gardens of Distinction, the Show will also feature live demonstrations from some familiar faces in the Feast Theatre and the amazing Great British Allotments exhibits. The RHS Young Designer of the Year competition is another Tatton favourite with visitors and 2017 sees it return once again to give young inspiring garden designers, aged 28 years and under, the chance to kick-start their career.This year, the finalists will be designing Innovative Garden Offices. This year will see the Bus Stop Boulevard, a 25m long street scene, with six planted-up bus shelters created by communities and designers from the Greater Manchester area. 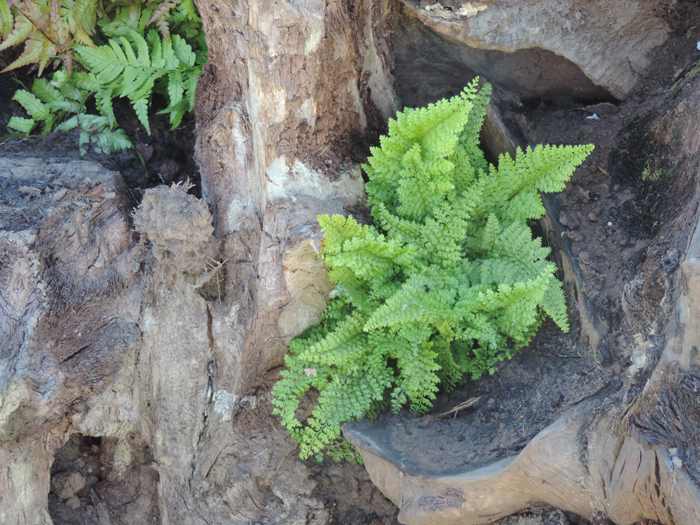 The Bruntwood Experiment, by headline supporter, Bruntwood, features resilient plants that thrive in our complex, changing and often forgotten urban areas. Underlining Bruntwood’s association with the science and technology sector, the garden will act as a physical ‘experiment’ with the behavior of both plants and people being monitored as they come face to face. There will be a butterfly dome containing thousands of tropical butterflies and the popular Garden Hideaways – encouraging people to turn the humble garden shed into a custom made, up cycled, hideaway – will also return. In the ‘Future Spaces‘ category, Wigan-based design team Warnes-McGarr will feature a garden of the future designed to cope with growing air temperatures. Drought-tolerant plants, typical of Mexican and South American landscapes will feature. The ‘Live Garden’ designed by Dan Newbury and Martin Williams will showcase ways to transform small, bare urban spaces into thriving multi-functioning gardens while Lancashire based John Everiss will return to RHS Tatton for United Utilities with the ‘Slow the Flow Garden’, to tackle flash-flooding. John, who has exhibited three gardens at RHS Chelsea, will demonstrate how you can create an attractive, stylish and practical garden to harness and conserve as well as slow the flow of rainfall in an urban space. The ‘Remember Me’ Garden, created by local designers Jane Bingham and Penny Hearn for the Mid Cheshire Hospitals Charity, will feature a dementia-friendly garden with ideas for growing plants popular in the 1960s and 70s to evoke childhood memories. 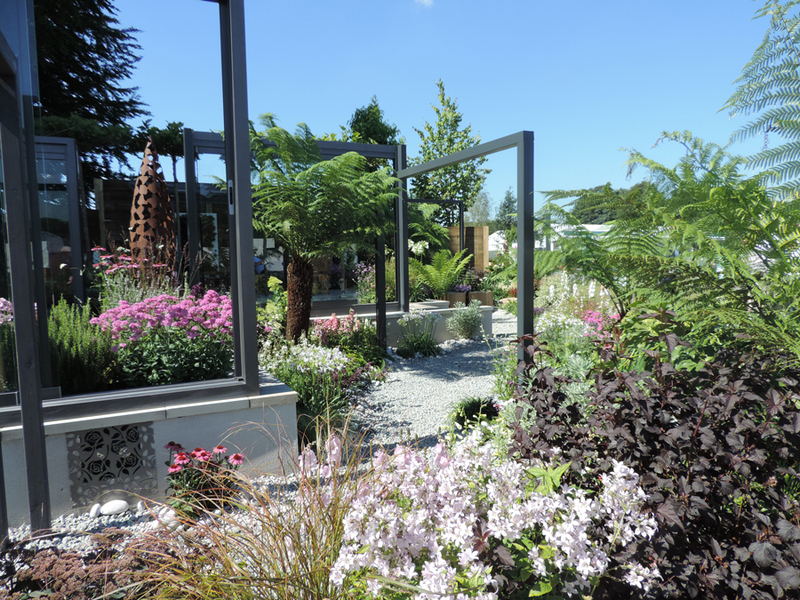 Tatton’s Back-to-Back gardens are always full of inspiration and for this year’s Show, Liverpool designer Paul Morris has created the ‘Relaxation Meditation Garden’, aimed at providing a relaxing space for meditation and inspire visitors to do the same at home. Matt Mattingley, Director of RHS Shows stresses that as the need for green spaces in urban areas increases it is more important than ever to inspire people and communities to plant up, upcycle and do what they can to get greening: “RHS Flower Show Tatton Park 2017 is full of horticultural ideas and inspiration, as well as thousands of plants to buy so come along in July and get gardening,” he says. All photographs are ©Reckless Gardener. Banner above is ‘Through the Looking Glass’ Best in Show 2016 designed by Pip Probert.